You and the ocean are connected in many ways. People depend on the ocean for food, transportation, jobs, industry, health, and even the air we breathe. Despite covering over 70% of the planet, being home to over 80% of Earth’s species, and having some of the world's tallest mountains and deepest valleys, the ocean is largely unexplored and holds many secrets to fully understanding our planet. One way to begin discovering the ocean, is to use underwater sensors, such as cameras and hydrophones, to monitor the ocean continuously. 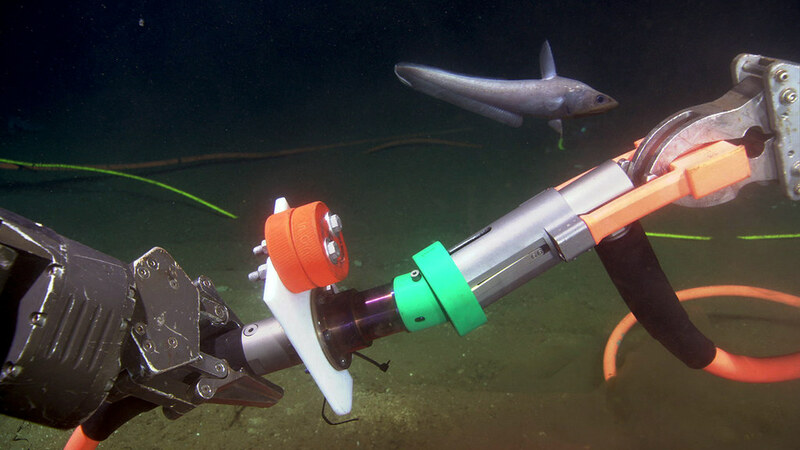 Different types of ocean sensors make it possible for scientists around the world to work together to ask questions and make new discoveries about the health of our ocean and the life in it. With the Ocean Sense program, you too can learn more about the mysteries of the ocean and share your discoveries with other students and schools across Canada. Marine science is an interdisciplinary field; knowledge from many different disciplines is needed to fully understand dynamic ocean processes. Marine biology is probably the most well known discipline, but it is only the tip of the iceberg: chemistry, physics, geology, geography, engineering, computer science, and social science all play important roles in helping us better understand the ocean. Ocean Networks Canada’s coastal and deep-sea observatories give you the opportunity to explore and gain an understanding of an ocean region near you. By sharing your discoveries and data with students from other schools, or looking at data from other observatories, you will be able to gain a global perspective of ocean processes. Share your thoughts, opinions, projects, and cool data you find to the observatory community through Twitter using the hashtag #OceanSense; this feed appears on the program’s Ocean Sense introduction page for the community to connect!